In 1995, just a year before his death, Carl Sagan published a bestselling book called “The Demon-Haunted World” which lamented what Sagan saw as the increasing encroachment of pseudoscience on people’s minds. It was an eloquent and wide-ranging volume. 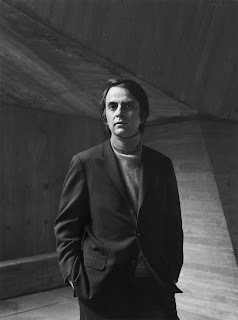 Sagan was mostly talking about obvious pseudoscientific claptrap such as alien abductions, psychokinesis and astrology. But he was also an astute observer of human nature who was well-educated in the humanities. His broad understanding of human beings led him to write the following paragraph which was innocuously buried in the middle of the second chapter. As if these words were not ominous enough, Sagan follows up just a page later with another paragraph which is presumably designed to reduce us to a frightened, whimpering mass. What’s striking about this writing is its almost clairvoyant prescience. The phrases “fake news” and “post-factual world” were not used during Sagan’s times, but he is clearly describing them when he talks about people being “unable to distinguish between what’s real and what feels good”. And the rise of nationalist prejudice seems to have occurred almost exactly as he described. It’s also interesting how Sagan’s prediction of the outsourcing of manufacturing mirrors the concerns of so many people who voted for Trump. The difference is that Sagan was not taking aim at immigrants, partisan politics, China or similar factors; he was simply seeing the disappearance of manufacturing as an essential consequence of its tradeoff with the rise of the information economy. We are now acutely living that tradeoff and it has cost us mightily. One thing that’s difficult to say is whether Sagan was also anticipating the impact of technology on the displacement of jobs. Automation had already been around in the 90s and the computer was becoming a force to reckon with, but speech and image recognition and the subsequent impact of machine learning on these tasks was in its fledgling days. Sagan didn’t know about these fields: nonetheless, the march of technology also feeds into his concern about people gradually descending into ignorance because they cannot understand the world around them, even as technological comprehension stays in the hands of a privileged few. In terms of people “losing the ability to set their own agendas or question those in power”, consider how many of us, let alone those in power, can grasp the science and technology behind deep learning, climate change, genome editing or even our iPhones? And yet these tools are subtly inserting them in pretty much all aspects of life, and there will soon be a time when no part of our daily existence is untouched by them. Yet it will also be a time when we use these technologies without understanding them, essentially safeguarding them with our lives, liberties and pursuit of happiness. Then, if something goes wrong, as it inevitably does with any complex system, we will be in deep trouble because of our lack of comprehension. Not only will there be chaos everywhere, but because we mindlessly used technology as a black box, we wouldn’t have the first clue about how to fix it. Equally problematic is the paradox in which as technology becomes more user-friendly, it becomes more and more easy to apply it with abandon without understanding its strengths and limitations. My own field of computer-aided drug design (CADD) is a good example. Twenty years ago, software tools in my field were the realm of experts. But graphical user interfaces, slick marketing and cheap computing power have now put them in the hands of non-experts. While this has led to a useful democratization of these tools, it had also led to their abuse and overapplication. For instance, most of these techniques have been used without a proper understanding of statistics, not only leading to incorrect results being published but also to a waste of resources and time in the always time-strapped pharmaceutical and biotech industries. This same paradox is now going to underlie deep learning and AI which are far more hyped and consequential than computer-aided drug design. Yesterday I read an interview with computer scientist Andrew Ng from Stanford who enthusiastically advocated that millions of people be taught AI techniques. Ng and others are well-meaning, but what’s not discussed is the potential catastrophe that could arise from putting imperfect tools in the hands of millions of people who don’t understand how they work and who suddenly start applying them to important aspects of our lives. To illustrate the utility of large-scale education in deep learning, Ng gives the example of how the emergence of commercial electric installations suddenly led to a demand for large numbers of electrical engineers. The difference was that electricity was far more deterministic and well-understood compared to AI. If it went wrong we largely knew how to fix it because we knew enough about the behavior of electrons, wiring and circuitry. The problem with many AI algorithms like neural nets is that not only are they black boxes but their exactly utility is still a big unknown. In fact, AI is such a fledgling field that even the experts don’t really understand its domains of applicability, so it’s too much to believe that people who acquire AI diplomas in a semester or two will do any better. I would rather have a small number of experts develop and use imperfect technology than millions adopt technologies which are untested, especially when they are being used not just in our daily lives but in critical services like healthcare, transportation and banking. I personally find this idea that technological access can be controlled by the political or moral preferences of a self-appointed minority to be deeply disturbing. Far from all information being freely available at our fingertips, it will instead ensure that we increasingly read the biased, carefully shaped perspective of this minority. For example, this recent event at Google has indicated the social opinions of several of its most senior personnel as well as of those engineers who more directly control the flow of vast amounts of information permeating our lives every day. The question is not whether you agree or disagree with their views, it’s that there’s a good chance that these opinions will increasingly and subtly – sometimes without their proponents even knowing it – embed themselves into the pieces of code that influence what we see and hear pretty much every minute of our hyperconnected world. And this is not about simply switching the channel. When politics is embedded in technology itself, you cannot really switch the channel until you switch the entire technological foundation, something that’s almost impossible to accomplish in an age of oligopolies. This is an outcome that should worry even the most enthusiastic proponent of information technology, and it certainly should worry every civil libertarian. Even Carl Sagan was probably not thinking about this when he was talking about “awesome technological powers being in the hands of a very few”. The real fear is that ignorance borne of technological control will be so subtle, gradual and all-pervasive that it will make us slide back, “almost without noticing”, not into superstition and darkness but into a false sense of security, self-importance and connectivity. In that sense it would very much resemble the situation in “The Matrix”. Politicians have used the strategy for ages, but ceding it to all-powerful machines enveloping us in their byte-lined embrace will be the ultimate capitulation. Giving people the illusion of freedom works better than any actual efforts at curbing freedom. Perfect control works when those who are controlled keep on believing the opposite. We can be ruled by demons when they come disguised as Gods. This is my fourth monthly column for 3 Quarks Daily. The Nobel Prize winning animal behaviorist Konrad Lorenz once said about philosophers and scientists, “Philosophers are people who know less and less about more and more until they know nothing about everything. Scientists are people who know more and more about less and less until they know everything about nothing.” Lorenz had good reason to say this since he worked in both science and philosophy. Along with two others, he remains the only zoologist to win the Nobel Prize for Physiology or Medicine. His major work was in investigating aggression in animals, work that was found to be strikingly applicable to human behavior. But Lorenz’s quote can also said to be an indictment of both philosophy and science. Philosophers are the ultimate generalists, scientists are the ultimate specialists. Specialization in science has been a logical outgrowth of its great progress over the last five centuries. At the beginning, most people who called themselves natural philosophers – the word scientist was only coined in the 19th century – were generalists and amateurs. The Royal Society which was established in 1660 was a bastion of generalist amateurs. It gathered together a motley crew of brilliant tinkerers like Robert Boyle, Christopher Wren, Henry Cavendish and Isaac Newton. These men would not recognize the hyperspecialized scientists of today; between them they were lawyers, architects, writers and philosophers. Today we would call them polymaths. These polymaths helped lay the foundations of modern science. Their discoveries in mathematics, physics, chemistry, botany and physiology were unmatched. They cracked open the structure of cells, figured out the constitution of air and discovered the universal laws governing motion. Many of them were supported by substantial hereditary wealth, and most of them did all this on the side, while they were still working their day jobs and spending time with their families. The reasons these gentlemen (sadly, there were no ladies then) of the Royal Society could achieve significant scientific feats were many fold. Firstly, the fundamental laws of science still lay undiscovered, so the so-called “low hanging fruit” of science was ripe and plenty. Secondly, doing science was cheap then; all Newton needed to figure out the composition of light was a prism. But thirdly and most importantly, these men saw science as a seamless whole. They did not distinguish much between physics, chemistry and biology, and even when they did they did so for the sake of convenience. In fact their generalist view of the world was so widespread that they didn’t even have a problem reconciling science and religion. For Newton, the universe was a great puzzle built by God, to be deciphered by the hand of man, and the rest of them held similar views. Fast forward to the twentieth century, and scientific specialization was rife. You could not imagine Werner Heisenberg discovering genetic transmission in fruit flies, or Thomas Hunt Morgan discovering the uncertainty principle. Today science has become even more closeted into its own little boxes. There are particle astrophysicists and neutrino particle astrophysicists, cancer cell biologists, organometallic chemists and geomicrobiologists. The good gentlemen of the Royal Society would have been both fascinated and flummoxed by this hyperspecialization. There is a reason why specialization became the order of the day from the seventeenth century onwards. Science simply became too vast, its tendrils reaching deep into specific topics and sub-topics. You simply could not flit from topic to topic if you were to understand something truly well and make important discoveries in the field. If you were a protein crystallographer, for instance, you simply had to spend all your time learning about instrumentation, protein production and software. If you were a string theorist, you simply had to learn pretty much all of modern physics and a good deal of modern mathematics. Studying any topic in such detail takes time and effort and leaves no time to investigate other fields. The rewards from such single-minded pursuit are usually substantial; satisfaction from the deep immersion that comes from expertise, the enthusiastic adulation of your peers, and potential honors like the Nobel Prize. There is little doubt that specialization has provided great dividends for its practitioners, both personal and scientific. And yet there were always holdouts, men and women who carried on the tradition of their illustrious predecessors and left the door ajar to being generalists. Enrico Fermi and Hans Bethe were true generalists in physics, and Fermi went a step further by becoming the only scientist of the century who truly excelled in both theory and experiment; he would have made his fellow countryman Galileo proud. Then there was Linus Pauling who mastered and made seminal contributions to quantum chemistry, organic chemistry, biochemistry and medicine. John von Neumann was probably the ultimate polymath in the tradition of old natural philosophers, contributing massively to every field from pure mathematics and economics to computing and biology. These polymaths not only kept the flame of the generalist alive, but they also anticipated science ironically coming full circle. The march of science from the seventeenth to the twentieth century might have been one toward increasing specialization, but in the last few years we have seen generalist science again blossoming. Why is this? Simply because the most important and fascinating scientific questions we face today require the meld of ideas from different fields. For instance: What is consciousness? What is life? How do you combat climate change? What is dark energy? These questions don’t just benefit from an interdisciplinary approach but they require it. Now, the way modern science approaches these questions is to bring together experts from various fields rather than relying on a single person who is an expert in all the fields. The Internet and global communication have made this kind of intellectual cross-pollination easier. And yet I would contend that there is a loss of insight when people keep excelling in their chosen fields and simply funnel the output of their efforts to other scientists without really understanding in what way it’s used. In my own field of drug discovery for instance, I have found that people who at least have a conceptual understanding of other areas are far more likely to contribute useful insights compared to those who simply do their job well and shove the product on to the next step of the pipeline. I thus believe there is again a need for the kind of generalist who dotted the landscape of scientific research two hundred years ago. Both the poet Archilochus as well as the philosopher Isaiah Berlin have fortunately given us the right vocabulary to describe generalists and specialists. The fox, wrote Archilochus, knows many things while the hedgehog knows one big thing. 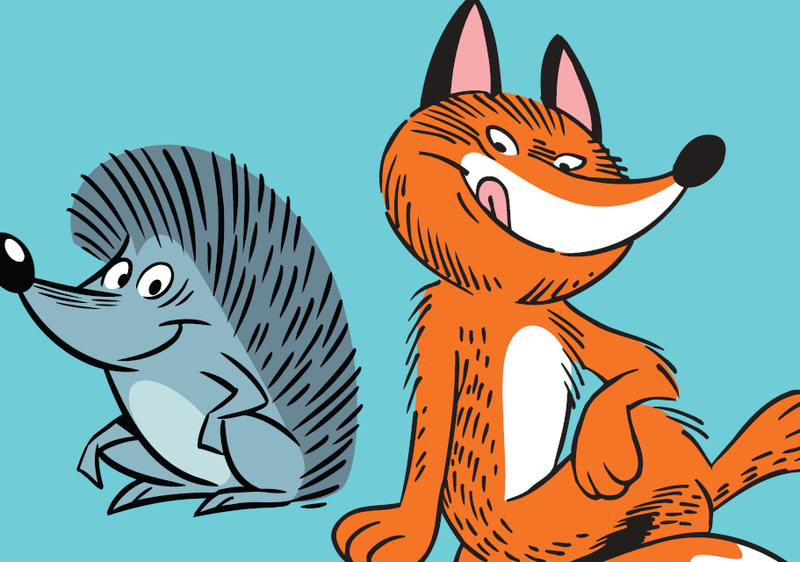 Generalists are foxes; specialists are hedgehogs. The history of science demonstrates that both foxes and hedgehogs are necessary for its progress. But history also shows that foxes and hedgehogs can alternate. In addition there are fields like chemistry which have always benefited more from foxes than hedgehogs. Generally speaking, foxes are more important when science is theory-rich and data-poor, while hedgehogs are more important when science is theory-poor and data-rich. The twentieth century was largely the century of hedgehogs while the twenty-first is likely to be the century of foxes. Being a fox is not very easy though. Both personal and institutional forces in science have been built to support hedgehogs. You can mainly blame human resources personnel for contriving to make the playing field more suitable for these creatures. Consider the job descriptions in organizations. We want an “In vivo pharmacologist” or “Soft condensed matter physicist”, the job listing will say; attached would be a very precise list of requirements – tiny boxes within the big box. This makes it easier for human resources to check all the boxes and reject or accept candidates efficiently. But it makes it much harder for foxes who may not fit precise labels but who may have valuable insights to contribute to make it past those rigid labels. Organizations thus end up losing fine, practical minds who pay the price for their eclectic tastes. Academic training is also geared toward producing hedgehogs rather than foxes, and funding pressures on professors to do very specific kinds of research do not make the matter any easier. In general, these institutions create an environment in which being a fox is actively discouraged and in which hedgehogs and their intellectual children and grandchildren flourish. As noted above, however, this is a real problem at a time when many of the most important problems in science are essentially interdisciplinary and would greatly benefit from the presence of foxes. But since institutional strictures don’t encourage foxes to ply their trade, they also by definition do not teach the skills necessary to be a fox. Thus the cycle perpetuates; institutions discourage foxlike behavior so much that the hedgehogs don’t even know how to be productive foxes even if they want to, and they in turn further perpetuate hedgehogian principles. Fortunately, foxes in the past and present have provided us with a blueprint of their behavior. The essence of foxes is generalist behavior, and there are some commonsense steps one can take to inculcate these habits. 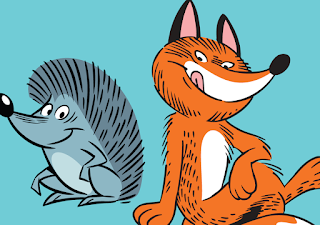 Based on both historical facts about generalists as well as, well, general principles, one can come up with a kind of checklist on being a productive fox in an urban forest full of hedgehogs. This checklist draws on the habits of successful foxes as well as recent findings from both the sciences and the humanities that allow for flexible and universal thinking that can be applied not just in different fields but especially across their boundaries. Here are a few lessons that I have learnt or read about over the years. Because the lessons are general, they would not be confined to scientific fields. One of the most striking findings over the last three decades or so, exemplified by the work of Amos Tversky, Daniel Kahneman, Paul Slovic and others, is the tendency of human beings to make the same kinds of mistakes when thinking about the world. Through their pioneering research, psychologists have found a whole list of biases like confirmation bias, anchoring effects and representativeness that dog our thinking. Recognizing these biases doesn’t just help connect ideas across various disciplines but also helps us step back and look at the big picture. And looking at the big picture is what foxes need to do all the time. A related field of inquiry is statistical thinking. In fact, many of the cognitive biases which I just mentioned arise from the fundamental inability of human beings to think statistically. Basic statistical fallacies include: extrapolating from small sample sizes, underestimating or ignoring error bars, putting undue emphasis on rare but dramatic effects (think terrorist attacks), inability to think across long time periods and ignoring baselines. In an age when the news cycle has shrunk from 24 hours to barely 24 seconds of our attention span, it’s very easy to extrapolate from random, momentary exposure to all kinds of facts, especially when the media’s very existence seems to depend on dramatizing or exaggerating them. In such cases, stepping back and asking oneself some basic statistical questions about every new fact can be extremely helpful. You don't have to actually be able to calculate p values and confidence intervals, but you should know what these are. When the first atomic bomb went off in New Mexico in July, 1945, Enrico Fermi famously threw a few pieces of paper into the air and, based on where the shockwave scattered them, came up with an accurate estimate of the bomb’s yield. Fermi was a master of the approximate calculation, the rough, order of magnitude estimate that would give the right ballpark answer. It’s illuminating how that kind of thinking can help to focus our thinking, no matter what field we may be dealing with. Whenever we encounter a fact that would benefit from estimating a number, it’s worth applying Fermi’s method to find a rough answer. In most cases it’s good enough. 4. Know your strengths and weaknesses. As the great physicist Hans Bethe once sagely advised, “Always work on problems for which you possess an undue advantage.” We are always told that we should work on our weaknesses, and this is true to some extent. But it’s far more important to match the problems we work on with our particular strength, whether it’s calculation, interdisciplinary thinking or management. Leveraging your strengths to solve a problem is the best way to not get bogged down in one place and being able to nimbly jump across several problems like a fox. Hedgehogs often spend their time not just honing their strengths but working on their weaknesses; this is an admirable trait, but it’s not always the most optimal for working across disciplinary boundaries. 5. Learn to think at the emergent level that’s most useful for every field. If you have worked in various disciplines long enough, you start realizing that every discipline has its own zeitgeist, its own way of doing things. It’s not just about learning the technical tools and the facts, it’s about knowing how to pitch your knowledge at a level that’s unique and optimal for that field. For instance, a chemist thinks in terms of molecules, a physicist thinks in terms of atoms and equations, an economist thinks in terms of rational individuals and a biologist thinks in terms of genes or cells. That does not mean a chemist cannot think in terms of equations or atoms, but that is not the most useful level of thinking to apply to chemistry. This matching of a particular brand of thinking to a particular field is an example of emergent thinking. The opposite of emergent thinking is reductionist thinking which breaks down everything into its constituent parts. One of the discoveries of science in the last century is the breakdown of strict reductionism, and if one wants to be a productive fox, he or she needs to learn the right level of emergent thinking that applies to a field. 6. Read widely outside your field, but read just enough. If you want to become a generalist fox, this is an obvious suggestion, but because it’s obvious it needs to be reiterated. Gaining knowledge of multiple fields entails knowing something about those fields, which entails reading about them. But it’s easy to get bogged down in detail and to try to become an expert in every field. This goal is neither practical nor the correct one. The goal instead is to gain enough knowledge to be useful, to be able to distill general principles, to connect ideas from your field to others. Better still, talk to people. Ask experts what they think are the most important facts and ideas, keeping in mind that experts have their own biases and can reach different conclusions. Oppenheimer thus clearly learnt enough about experimental physics to know the strengths and limitations of the field, imparting another valuable piece of advice: know the strengths and limitations of every field at the very least, so you know whether the connections you are forming are within its purview. In other words, know the domain of applicability of every field so that you can form reasonable connections. 7. Learn from your mistakes, and from others. If you are a fox trying to jump across various disciplinary boundaries, it goes without saying that you might occasionally stumble. Because you lack expertise in many fields you are likely to make mistakes. This is entirely understandable, but what’s most important is to acknowledge those mistakes and learn from them. In fact, making mistakes is often the best shortcut to quick learning (“Fail fast”, as they say in the tech industry). Learning from our mistakes is of course important for all of us, but especially so for foxes who are often intrinsically dealing with incomplete information. Make mistakes, revise your worldview, make new mistakes. Rinse and repeat. That should be your philosophy. Parallel to learning from your mistakes is to learn from others. During her journey a fox will meet many interesting people from different fields who know different facts and possess different mental models of thinking about the world. Foxlike behavior often entails being able to flexibly use these different mental models to deal with various problems in different fields, so it’s key to keep on being a lifelong learner of these patterns of thought. Fortunately the Internet has opened up a vast new opportunity for networking, but we don’t always take advantage of this opportunity in serious, meaningful ways. Everyone will benefit from such deliberate, meaningful connections, but foxes in particular will reap rewards. The world is almost always gray. Foxes must imbibe this fact as deeply as Niels Bohr imbibed quantum mechanics. Especially when you are encountering and trying to integrate disparate ideas from different fields, it’s very likely that some of them may seem contradictory. But often the contradiction is in our minds, and there’s actually a way to reconcile those ideas (as a general rule, only in the Platonic world of mathematics can contradictory ideas not be tolerated at all). The fact is that most ideas from the real world are fuzzy and ill defined, so it’s no surprise that they will occasionally run into each other. Not just ideas but patterns of thinking may seem contradictory; for example, what a biologist sees as the most important feature of a particular system may not be the most important feature for a physicist (emergence again). In most cases the truth lies somewhere in between, but in others it may lie wholly on one side. As they say, being able to hold opposite ideas in your mind at the same time is a mark of intelligence. If you are a fox, prove this. These are but a few of the potential avenues that you can explore for being a generalist fox. But the most important principle that foxes can benefit from is, as the name indicates, general. When confronted by an idea, a system or a problem, learn to ask the most general questions about it, questions that flow across disciplines. A few of these questions in science are: What’s the throughput? How robust is the system? What are the assumptions behind it? What is the problem that we are trying to solve? What are its strengths and limitations? What kinds of biases are baked into the system and our thinking about it? Keep on asking these questions, make a note of the answers and you will realize that they can be applied across domains. At the same time, remember that as a fox you will always work in tandem with specialized hedgehogs. Foxes will be needed to explore the uncharted territory of new areas of science and technology, hedgehogs will be needed to probe its corners and reveal hidden jewels. The jewels will further reflect light that will illuminate additional playgrounds for the foxes to frolic in. Together the two creatures will make a difference. Sixty seven years ago on this day, a bomb fueled by the nuclear fission of uranium leveled Hiroshima in about six seconds. Since then, two foundational beliefs have colored our views of nuclear weapons; one, that they were essential or at least very significant for ending the war, and two, that they have been and will continue to be linchpins of deterrence. These beliefs have, in one way or another, guided all our thinking about these mythic creations. Historian Ward Wilson who is at the Monterey Institute of International Studies wants to demolish these and other myths about nukes in a new book titled "5 Myths about Nuclear Weapons", and I have seen few volumes which deliver their message so effectively in such few words. Below are Wilson's thoughts about the two dominant nuclear myths interspersed with a few of my own. "Nuclear weapons were paramount in ending World War 2". This is where it all begins. And the post facto rationalization certainly bolsters the analysis; brilliant scientists worked on a fearsome weapon in a race against the Nazis, and when the Nazis were defeated, handed it over to world leaders who used to it bring a swift end to a most horrible conflict. Psychologically it fits into a satisfying and noble narrative. Hiroshima and Nagasaki have become so completely ingrained in our minds as symbols of the power of the bomb that we scarcely think about whether they really served the roles that they have been ascribed over the last half century. In one sense the atomic bombings of Japan have dictated all our consequent beliefs about weapons of mass destruction. But troubling and mounting evidence has emerged in the last half century that is now consequential enough to deal a major blow to this thinking. 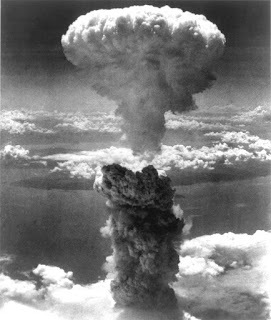 Contrary to popular belief, this is not "revisionist" history; by now the files in American, Soviet, Japanese and British archives have been declassified to an extent that allows us to piece together the cold facts and reveal what exactly was the impact of the atomic bombings of Japan on the Japanese decision to end the war. They tell a story very different from the standard narrative. Wilson draws on detailed minutes from the meetings of the Japanese Imperial Staff to make two things clear; first, that the bomb did not have a disproportionate influence on Japanese leaders' deliberations and psyche, and second, that what did have a very significant impact on Japanese policy was the invasion of Manchuria and the Sakhalin Islands by the Soviet Union. Wilson reproduces the reactions of key Japanese leaders after the bombing of Hiroshima on August 6. You would expect them to register shock and awe but we see little of this. There was no major meeting summoned after the event and most leaders seemed to display mild consternation, but little of the terror or extreme emotion, that you might expect from such a world-shattering event. What does emerge from the record is that the same men were extremely rattled after the Soviets declared war on August 8. The reason was that before Hiroshima the Japanese were contemplating two strategies for surrender, one political and the other military. The military strategy involved throwing the kitchen sink against the Americans when they invaded the southern part of the Japanese homeland in the coming months and causing them so many losses that their victory would be be a pyrrhic one at best; the Japanese could then seek a surrender on their own terms. The political strategy involved negotiating with the Allies through Moscow. With Hiroshima, both these options remained open since the Japanese army and Soviet relations were still intact. But with the Soviet invasion in the north, the concentration of troops against the Allied invasion in the south and the seeking of favorable surrender terms through the Soviets suddenly turned into impossibilities. This double blow convinced the Japanese that they must now confront unconditional surrender. When the Emperor finally implored his people to surrender and cited a "new and most cruel bomb" as the reason, it was likely to save face so that the Japanese could blame the bomb rather than their own instigation of the war at Pearl Harbor. Why were the Japanese not affected by the bombing of Hiroshima? Because on the ground the bombing looked no different from the relentless pounding that dozens of major Japanese cities had received at the hands of Curtis Le May's B-29s during the past six months. The infamous firebombing of Tokyo in March, 1945 had killed even more civilians than the atomic bomb. As Ward details it, no less than 68 cities had been subjected to intense attack, and aerial photos of these cities are strikingly almost indistinguishable from those of Hiroshima. Thus for the Japanese, Hiroshima was one more casualty in a long list. It did little either to shock them or to weaken their resolve for continuing the war. This was especially true when the event was too soon for people to truly take stock of what had really happened. Unfortunately the perception of the bombing of Hiroshima also fed into the general perception regarding strategic bombing, itself a myth largely perpetuated by the air forces of the U.S. and other European nations which wanted to convince leaders that they could win wars through air attack alone. The conventional wisdom since before World War 2 was that strategic bombing can deal a deadly blow to the enemy's moral and strategic resources. This wisdom was perpetuated in the face of much evidence to the contrary. The bombings of London, Hamburg, Dresden and Tokyo had little effect on morale; in fact, postwar analysis indicated that if anything, they made the survivors of the bombing more determined and resilient and had a minor impact on war production capability. The later follies of Vietnam, Cambodia and Laos also proved the futility of strategic bombing in ending wars. And the same was true of Hiroshima. The main point, as Ward makes it clear, is that you cannot win a war by destroying cities because ultimately it's the enemy's armies and military resources that are involved in fighting a war. Destroying cities helps, especially when the means of war production are grounded in civilian activity, but it is almost never decisive. One instructive example which Wilson provides is the burning of Atlanta and then Richmond during the American Civil War which did little to crush the South's fighting ability or spirit. Another example is Napoleon's march into Russia; after setting fire to Moscow and destroying scores of Russian cities, Napoleon was still defeated because ultimately his army was defeated. These facts were conveniently ignored in the face of beliefs about bombing whose culmination seemed to be the destruction of Hiroshima. These beliefs were largely responsible for the arms race and the development of strategic hydrogen bombs which were again expressly designed to bring about the annihilation of cities. But all this development did was raise the risk of accidental devastation. If we realize that the atomic bombing of Hiroshima and the general destruction of cities played little role in ending World War 2, almost everything that we think we know about the power of nuclear questions is called into question. "Nuclear weapons are essential for deterrence". Conventional thinking continues to hold that the Cold War stayed cold because of nuclear weapons. This is true to some extent. But what it fails to realize is how many times the war threatened to turn hot. Declassified documents now provide ample evidence of near-hits that could have easily led to nuclear war. The Cuban Missile Crisis is only the most well-known example of how destabilizing nuclear weapons can make the status quo. The missile crisis is in fact a fine example of how conventional thinking about deterrence presents gaps. Kennedy's decision to blockade Cuba is often touted as an example of mild escalation and the resolution of the crisis itself is often held up as a shining example of how tough diplomacy can forestall war. But Ward takes the opposite tack; he says that the Soviets had made it clear that any action against Cuba would provoke war. Given the nature of the conflict almost everybody understood that war in this case could mean nuclear war. Yet Kennedy chose to blockade Cuba, so deterrence does not seemed to have worked for him. The consequent set of events brought the world closer to nuclear devastation than we think. As we now know, there were more than 150 nuclear weapons in Cuba which would have carpeted most of the eastern and midwestern United States and led to the deaths of tens of millions of Americans. A subsequent second strike would have caused even more devastation in the Soviet Union, not to mention in neighboring countries. In addition there were several relatively minor events which were close calls. These included the depth mining by the US Air Force of submerged Soviet submarines that almost caused one submarine commander to launch a nuclear torpedo; it was an unsung hero of the crisis named Vasili Arkhipov who prevented the launch. Other examples cited by Ward include the straying of an American reconnaissance flight into Soviet airspace and the consequent scrambling of American and Soviet fighter aircraft. One could add several other examples to the list of close calls; a later one would be the Able Archer exercise of 1983 that caused the Soviets deep anxiety and borderline paranoia. In addition, as documented in Eric Schlosser's book Command and Control, there were dozens of close calls - swiftly classified, of course - in the form of nuclear accidents which could have led to catastrophic loss of life. The fact is that deterrence is always touted as the ultimate counter-argument to the risks of nuclear warfare, but there are scores of examples where political leaders decided to escalate and provoke the other side in spite of deterrence. From the other side of the fence it looks like deterrence ultimately worked, but often by a very slim margin. Add to this the fact that the vast network of nuclear command and control centers and protocols developed by nuclear nations are manned by fallible human beings; they are examples of complex systems subject to so-called "normal accidents". There is also no dearth of examples during the Cold War where lowly technicians and army officers could have launched World War 3 because of miscalculation, misunderstandings or paranoia. The fact is that these weapons of mass destruction have a life of their own; they are beyond the abilities of human beings to completely harness because human weaknesses and flaws also have lives of their own. Nuclear weapons are often compared to a white elephant. A better comparison might be to a giant T. rex; one could possible imagine a use for such a creature in extreme situations, but by and large it only serves as an unduly sensitive and enormously destructive creature whose powers are waiting to be unleashed on to the world. Having the beast around is just not worth its supposed benefits anymore, especially when most of these benefits are only perceived and have been extrapolated from a sample size of one. Yet we continue to nurture this creature. Much progress has been made in reducing the nuclear arsenals of the two Cold War superpowers, but others have picked up the slack and continued to pursue the image and status - and not actual fighting capability - that they think nuclear weapons confer on them. The US currently has about 5000 weapons including 1700 strategic ones, many of which are still on hair trigger alert. This is still overkill by a huge margin. A hundred or so, especially on submarines, would be more than sufficient for deterrence. More importantly, the real elephant in the room is the spending on maintaining and upgrading the US nuclear arsenal; several estimates have put a figure of $50 billion on this spending. In fact the US is now spending more on nukes than it did during the Cold War. In a period when the economy is still not exactly booming and basic services like education and healthcare are underfunded, this kind of spending on what is essentially a relic of the Cold War should be unacceptable. In addition during the Bush administration, renewed proposals for "precision" munitions like the so-called Robust Nuclear Earth Penetrator (RNEP) threatened to lower the bar for the introduction of tactical nuclear weapons; detailed analysis showed that the fallout and other risks from such weapons far outweigh their modest usefulness. The current administration has also shown a dangerously indifferent, if not downright irresponsible, attitude toward nuclear weapons. More importantly, experts have pointed out since the 1980s that technology and computational capabilities have now improved to an extent that allows conventional precision weapons to do almost all the jobs that were once imagined for nuclear weapons; the US especially now has enough conventional firepower to protect itself and to overpower almost any nuclear-armed state with massive retaliation. It's worth noting the often quoted infamous fact in this regard that the United States spends more on conventional weapons every year than the next several countries combined. The fact is that nuclear weapons as an instrument of military policy are now almost completely outdated even from a technical standpoint. But until zealous and paranoid politicians in Congress who are still living in the Cold War era are reined in, a significant reduction on maintaining the nuclear arsenal doesn't seem to be on the horizon. Fortunately there are renewed calls for the elimination of these outdated weapons. The risk of possible use of nuclear weapons by terrorists calls for completely new strategies and does nothing to justify the growth and preservation of existing strategic arsenals by new and aspiring nuclear states. The most high-profile recent development has been the introduction of a bipartisan proposal by veteran policy makers and nuclear weapons experts Henry Kissinger, William Perry, Sam Nunn, George Schultz and Sidney Drell who have called for an abolition of these weapons of war. Some would consider this plan a pipe dream, but nothing would be accomplished if we don't fundamentally alter our thinking about nuclear war. There are many practical proposals that would thwart the spread of both weapons and material, including careful accounting of reactor fuel by international alliances, securing of all uranium and plutonium stocks and the blending down of weapons-grade uranium into reactor-grade material, a visionary policy started in the 90s through the Megatons to Megawatts program. For me, one of the most poignant and fascinating facts about nuclear history is that material from Soviet ICBMs aimed at American cities now supplies about half of all American nuclear electricity. Ultimately as Ward and others have pointed out, nuclear weapons will not go away unless we declare them to be pariahs. No number of technical remedies will cause nations to abandon them until we make these destructive instruments fundamentally unappealing and start seeing them at the very least as outdated dinosaurs whose technological usefulness is now completely obsolete, and at best as immoral and politically useless tools whose possession taints their owner and results in international censure and disapproval. This is another myth that Wilson talks about, the myth that nuclear weapons are here to stay because they "cannot be uninvented". But as Wilson cogently argues, technologies don't go away because they are uninvented, they go away simply because they stop being useful. An analogy would be with cigarettes, at one time seen as status symbols and social lubricants whose risks have now turned them into nuisances at best. This strategy has worked in the past and it should work in the future. We can only make progress when technology becomes unattractive, both from a purely technical as well as a moral and political standpoint. But key to this is a realistic appraisal of the roles that the technology played during its conception. In case of nuclear weapons that mythic appraisal was created by Hiroshima. And it's time we destroyed that myth.